Its Mitre 10 Tradies Raceday at Sapphire Coast this Friday with a 'pretty in pink' theme. There's a mystery prize for the best pink outfit and pink desserts for sale with proceeds going to the Jane McGrath Foundation. 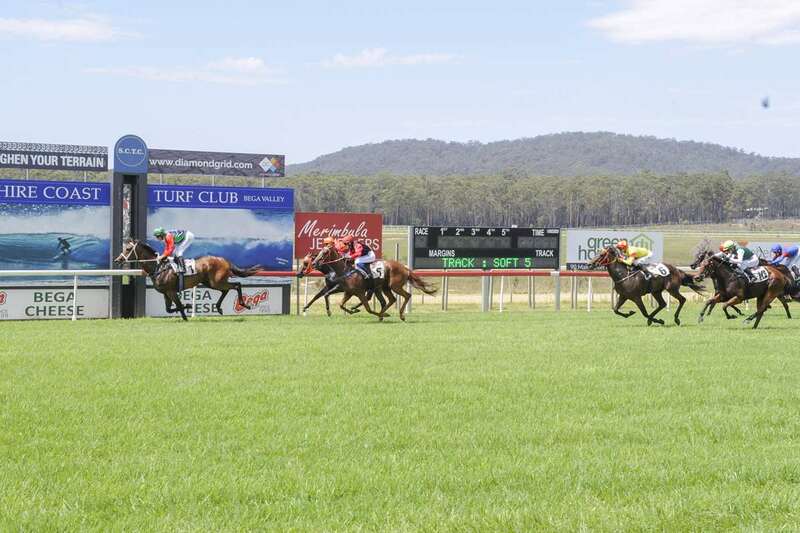 "It should be a fun day incorporating an eight-race TAB program with the afternoon proudly sponsored by Mitre 10 Sapphire Coast," said Sapphire Coast Turf Club's, Jess Ryan. "Gates open at noon with free buses to and from the course; just go to our website for details - Sapphire Coast Turf Club"
The day is proudly sponsored by Mitre 10, SL Hodgson Builders, Plevey and Son Roofing & Plumbing, Robert Smith Homemakers, Wilson’s Signs, Kane McKill Tree Services, Asset Arbor, Coast ‘n’ Country Scaffolding, True Finish Paint Services and Clark Equipment Australia.